When the debate on the Fourth Carbon Budget began in Whitehall in 2012 the Treasury had a clear view. No. Meeting its requirements would be too damaging to Britain’s economy. How did they know this? Their model of the economy told them so. The Fourth Carbon Budget covers the period from 2023 to 2027. The Treasury’s model told them that agreeing this Budget would knock 1% off GDP in 2027. The Treasury cannot tell you confidently what Britain’s GDP was last year. They are even less certain about what it is going to be next year. This makes believing you know what it will be in 15 years time pretty heroic. In the event, the Prime Minister and the Foreign Secretary combined to over rule the Chancellor and after some huffing and puffing and a bit of delay the Fourth Carbon Budget has been adopted. You should not imagine, however, that this is the end of it. The Treasury will take advantage of every little downward ripple in the economy or scare about energy security to try to re-open the question such is its confidence in its model. WWF also has a model. To be more precise, Cambridge Econometrics has a model. A rather well regarded one as it happens. WWF asked them to see what meeting the first four carbon budgets would do to Britain’s economy. They came to a rather different view. If we did so we would be better off not worse off. Their results, just published, show that If we succeed in delivering the Fourth Carbon Budget then, by 2030, Britain’s GDP will be 1.1% greater than it would otherwise have been. Families will be £565 a year better off. There will be 190,000 additional jobs. 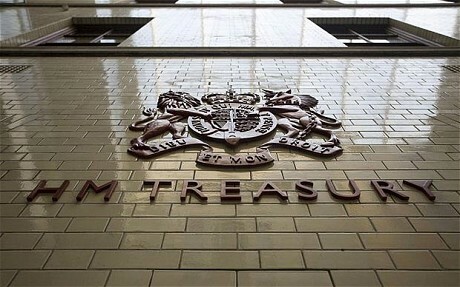 The Treasury’s tax take will go up by £5.7 billion a year. We will use 30% less oil and 55% less gas not only hugely improving our energy security but also knocking £8.5 billion off our balance of payments deficit. With benefits like this you would think that the Treasury would be falling over itself to accelerate the decarbonisation of the economy. Instead it is throwing up obstacles at every turn. Some of this is clearly ideological. The green has been washed off the Conservative Party by the rise of UKIP. But more of it is simply they really believe they are right. We base a lot of really important political and economic decisions on the basis of our model of the economy. So how is it possible that two different groups of experienced modellers, modelling the same economy, can come to such dramatically different answers to the same question? And even more importantly, which one should we believe? Models of the economy are fickle beasts. The problem is that different modelling groups use different equations to describe the same economy. Furthermore, modelling outputs are hugely dependent on the choice of inputs. Change an assumption here, import some disputed data there, and pretty soon you get different answers to the same question. This greatly undermines the utility of economic modelling in public policy decisions. Different interests shop around for models, assumptions and data sets that they hope will give them the answers they want. Politicians simply use them as arsenals to be raided for ammunition to defend positions they have already adopted. Different climate models, for all their uncertainties, offer a far more consistent description of the real world than is offered by different economic models. This is a result of the intensive and transparent effort managed by the IPCC to provide useful knowledge to inform policy making. It is long past time that economists subject their modelling to a similar transparent, global process. So the honest answer to the question of who is right, WWF or the Treasury, is I don’t know. I do know who I would prefer to be right and I do know that it matters. If the Treasury is wrong we will have taken a pass on a load of immediate benefits and put the stability of the climate at risk. If WWF is wrong we will have delayed increasing our wealth by a few months. However, we would all be better off if we stopped guessing. The Treasury and the WWF should sit down together and work through their differences publicly. They should do this on-line so that we can all follow along. In the 21st century there is no excuse at all for such a fundamental analysis to go on behind closed doors whether they are green or black.